The Delhi HC has also directed the Delhi Development Authority (DDA) to submit a “progress report” on May 1. Signalling an end to the litigation involving the Millennium Bus Depot, built on the banks of the Yamuna, the Delhi government on Friday told the High Court that it had identified alternative sites to shift buses so that the depot could be dismantled according to the orders of the court. The Delhi HC, which has been monitoring the issue in a contempt petition, has also directed the Delhi Development Authority (DDA) to submit a “progress report” on May 1, after the land agency said it would require more time to implement the decisions. According to the minutes of the meeting submitted before the court of Justice Sudershan Kumar Misra on Friday, the Lt-Governor had decided that the alternative plots would be allocated to replace the 60-acre depot created for the Commonwealth Games. “Director (Planning), DDA, to file an affidavit setting out a progress report in the matter along with a time table… The affidavit will also contain the names and particulars of all the agencies and officials involved in the process,” the court said. 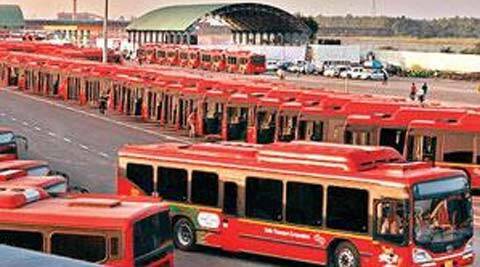 Twenty acres of land belonging to the Millennium Park will be allotted to the Delhi Transport Corporation to develop a bus depot, apart from 20 acres in Rohini Phase-IV and 10 acres in Sarai Kale Khan.